Yoga and climbing go hand in hand. Both provide constant encouragement to improve our physical and spiritual beings through challenges. They both rely on controlling our minds to achieve our new ascends. How Does Yoga Help You with Climbing? Warm up: you can activate your body through Yoga. Abdominals: you must have strong abs because, in conjunction with the back, they support your grips. When you move an arm or a leg, it is the abdominals which help you maintain balance. Mobility: When you climb, you shouldn’t have stiffened muscles or joints. 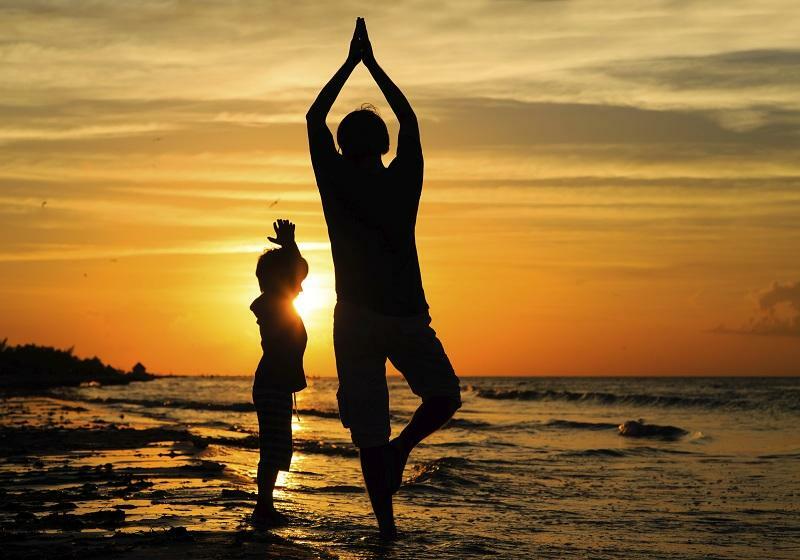 Thanks to Yoga you can regain the mobility that you had as a child. Concentration: Yoga helps to learn and enjoy the slowness of movements. It is important to make sure our grips are safe, focusing on making good supports, etc. instead of rushing our way to the top. Without keeping our concentration on every move, it will be difficult reaching the summit. Relaxation: It is necessary to keep relaxed, especially when we face difficult challenges. Relaxation and breathing techniques are taught in Yoga. Proprioception: It is the ability to perceive the position of the body independently of the vision. Yoga exercises related to balance are very good for improving proprioception. Coordination: What better than Yoga to make your body’s movements fluid and coordinated? Pulmonary capacity: Pranayama teaches you to take long and deep breaths, using the three types of breathing: abdominal, thoracic and clavicular. Preventing Injuries: Since Yoga keeps your body strong and flexible, it helps to prevent injuries. Yoga works on your whole body, not only upper or lower body, helping you perform your daily chores and climb a mountain. Mental strength: As a climber, you know there will be times when you need to ask more of your body, especially when it reaches its limit. It is then when you need to use a very important resource: your mental strength. Through Yoga, you can train your mind to draw strength from anywhere available to reach your goal. Bakasana is great for climbing since it requires balance, strength in arms, legs, abs, pectorals, shoulders, and back. It also needs to have high breathing control and focus. All three variants of Virabhadrasana give you balance and teach you to pace the movements. Slow, deep breaths are required to perform and keep the Warrior poses. Virasana is a good Yoga asana for climbers because it opens the hips and provides the amplitude necessary to raise the leg laterally. In Ustrasana, we work the trunk as it strengthens the abdominals and the lower back. Standing asanas are good for keeping your back straight and acquiring the good habit of being aware of our position while keeping your balance. Its main benefit is to improve the hamstring and hip flexibility in the stretched front leg. You can use a Yoga Block to perform the asana to help your chest open. A block also can aid you to have a straight spine. It is an ideal warm-up Yoga sequence to activate the whole body. It consists of seven postures. There are different variations (A and B are the most common). Just remember to perform the same sequence with both sides of the body for alignment and balance. Yoga and Climbing have a lot in common so it is completely okay to pack your bags, put on your yoga leggings and head on the road. Have fun. Whether you’re new to your yoga practice or are an experienced professional, you may have been initially surprised by the amount of time you spend in the downward facing dog. It seems like an unlikely position, with your body arched upwards to form a triangle with the floor. What is there about this position that makes it so frequently used throughout all of the various styles of yoga? The downward facing dog is one of the basics that will be essential to a regular yoga practice, no matter what style or level of experience you have. It is extremely beneficial for your mind and body, perhaps more than you think. Along with increasing your circulation, it should be noted that an increase in your blood flow will also give you an energy boost. The more your blood pumps through your veins, you can build more heat in your practice and feel energized more quickly. That is why a few rounds of sun salutations, with some extended time spent in the downward facing dog, could be a great way to begin your practice. The downward facing dog is an excellent pose for any time of the day, especially if you struggle with finding the energy to step onto your mat. Whether you start your morning bright and early with tired eyes or end your evening after a 12-hour work day, this basic pose can give you a little bit more energy to make it through your entire sequence and move onto other activities for your daily life. 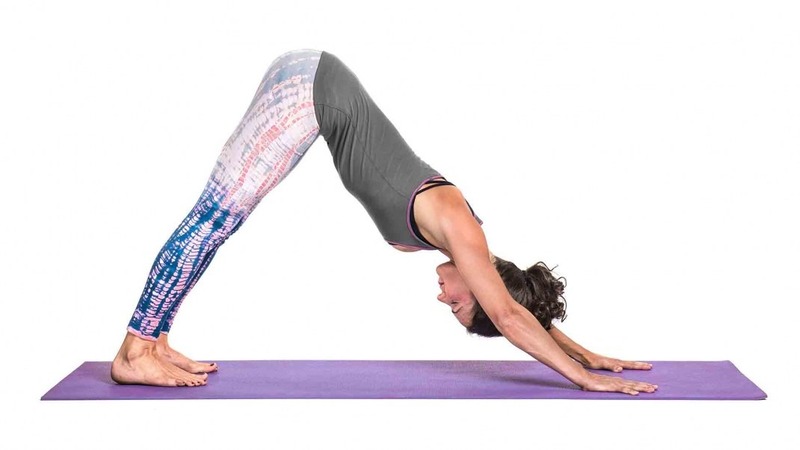 One of the primary reasons so many yogis adore the downward facing dog is because it offers an excellent and well-rounded way to strengthen the entire body. You can stretch out the backs of the legs, build strength in your shoulders and biceps, lengthen the spine, and tighten your abdominal muscles all at the same time. It is one of the few poses that allow for a thorough check-in with every part of the body. Consider how you feel when you’re holding this position on your mat for five to 10 long breaths. You should feel your chest beginning to open and the lower part of your body stretch and extend more comfortably. Building overall strength in a well-balanced way is a great way to improve your practice all the way around. While some yogis can find the downward facing dog to be uncomfortable with their hips hoisted high into the air, it really is a beneficial part of the practice. It provides a source of strength, energy, and better blood flow which can improve every part of your daily life. Bikram yoga is a popular type of yoga practice that gained a lot of awareness during the 1970s. It is also known as “hot” yoga, and the classes are usually held in heated rooms and last around 90 minutes. Hot yoga series provide plenty of health benefits such as stress relief, muscle toning, body stretching, joint pain relief, and more. In this post, we will take a closer look at what Bikram yoga is and whether you should try it or not. As previously mentioned, Bikram yoga is not as old as other types of yoga. It is done in rooms heated up to 35-42 degrees Celsius. This is why you should have a body that resists to both heat and a 40-percent humidity level. One class lasts longer than a regular yoga session. On the other hand, the movements are more on the sedentary side. It is something focused on meditation rather than intense physical activity. 1. Detoxification – it flushes toxins from your body. 2. It is a great cardiovascular workout – it tones your heart muscle. 3. Weight loss – hot yoga helps you shed several pounds by boosting your metabolism. Bikram yoga or “hot” yoga is totally safe. Not only is it safe to practice it, but it also provides plenty of health benefits. As long as you can handle the heat, hydrate yourself properly by drinking plenty of water, and keep an open mind; it will all be a pleasant and remarkable experience. Caution: Sometimes, some people, especially beginners, can feel dizzy, weak or even nauseated during a hot yoga session. If this is the case, stop what you’re doing, and go out of the heated room in a cooler environment. Whether you are new to yoga or experienced, this is for you. Give yourself a fantastic break and go on a yoga retreat, yoga holiday, or yoga vacation. Yoga retreats cater for all, from the novice to the masters and no matter what level you are, you will benefit immensely from the experience. The focus at yoga retreats is on increasing your yoga abilities, getting rid of stress, and enjoying it with like-minded people. They are run by professionals who know what they are doing and can help you to get the most from your yoga practices. You will find yoga retreats and yoga holidays advertised. While there are some distinctions between the two, they are not always clearly defined. Make sure you ask when making your enquiries as to what is included in the course. Things like the time allocated to yoga sessions, meditation etc. With a yoga vacation the schedule is usually more relaxed with spare time for you to take in a few sights and get to know the other people on the course. Because yoga vacations are located in scenic areas, there should be some sight-seeing attractions close by. A yoga retreat will be more structured as far as your yoga activities go while on the course, sessions, meditation, quiet times, and the meals are all scheduled. Normally these retreat locations are situated in a peaceful area, close to nature, and most are fully residential. While these retreats are usually for the more serious minded, if you wish to take your yoga to a higher level, then a yoga retreat could be just what you want. The prices of these retreats and vacations will vary. You could reasonably expect to pay the equivalent of a week’s stay in vacation type hotel. The cost will include your room and meals as they take the approach that your diet has a very important part to play in your overall yoga activities. They hope to teach you how to eat correctly and so benefit more from your yoga practices. So, the cost is all-inclusive, your room, meals, yoga lessons, activities, and access to the yoga instructors for help and guidance. There are lots of yoga retreats across the country to choose from. From the east coast to the west coast you will find plenty of retreat locations, so there should be one relatively close to you. If you’d prefer to be at a more exotic location, there are yoga retreats in the Caribbean, Virgin Islands, Europe, and Asia. Keep in mind though these locations are likely to be more expensive than a domestic yoga retreat. The best place to start your search for a yoga retreat is with your yoga studio. There could even be some great packages available. Often the studio will negotiate for a group booking, which could be a big savings and you will be with others you know. The other option is the Internet. If you do a search online for yoga retreats in the USA, yoga retreats in Costa Rica, find a yoga retreat in Connecticut, or wherever you happen to live then you can research or investigate what is available and what is provided during the retreat. If you choose a yoga retreat, then maybe going on your own and meeting other yoga enthusiasts could be more beneficial. If you opt for a yoga vacation, then going with a friend who also practices yoga may be a better option as you will have someone to share the experience and the free time with. By taking advantage of a yoga retreat or yoga vacation, whether you have just started yoga or wanting to expand your knowledge, you will benefit enormously. Yoga retreats and vacations are available to all who partake in yoga and have been established to enhance the yoga experience for everyone. If you can manage the time, go ahead and indulge yourself, you won’t regret it. Yoga is the oldest form of exercise that focuses on your body, soul, and mind. In addition to relaxing you from stress, it also helps in losing weight. People had never viewed yoga as an aid for weight loss. But the reality is, yoga is quite a natural and soothing way of losing weight. Yoga helps in cleansing your body, strengthening your core, increasing flexibility and stamina, and upping your metabolic rate. All these factors contribute to weight loss. So in this article, I will tell you some yoga asanas (poses) for losing weight and some apparel to reap the weight loss benefits. Surya Namaskar is the most basic and widely-practiced asana which means sun salutation. It consists of a series of twelve poses such as basic prayer pose, bhujangasana, forward bend etc. All these poses work for various body parts which makes this asana great for the entire body and weight loss too. Experts say that it is a good way to keep your body active and aids in relieving stress and anxiety. During this pose, you have to first stand in a mountain pose and then stretch one of your legs backward, place the other leg into a lunge-like position, your knee forming a ninety-degree angle with the hands stretched upwards above your head. This asana helps in removing fat from your back, arms, thighs, and legs. It improves blood circulation too. Stand with the legs wide apart and bring your right foot out, sideways. Then stretch your arms out while pushing your waistline on your right leg and going down slowly with a flat back. Your right-hand fingers should touch the ground, and your left arm should stretch upwards. Repeat this on the other side. This pose works for your arms, thighs and the sides of your body. This is quite difficult for the beginners, but its results are amazing. Sit by stretching your legs in front of you. Hands should be placed on your hips while pointing towards feet. Now raise your body upward by using the strength of your arms and try to pull your head back. It works best for the spine, shoulders, arms, wrists, and muscles. Lie down with your back facing the floor and hands stretched sideways. Then fold your knees and raise your body upward from your pelvis area. Take help from your hands and hold this position. It helps in shaping your thighs, hips, back, and stomach. Perform all the asanas correctly, which is very important. Yes, while doing yoga, what you wear really matters. You should be very comfortable and flexible while doing yoga and this is related to our clothes also. Obviously, you can’t do yoga in skin-tight jeans or pants and then expect results. So perform yoga properly, choose yoga pants wisely and you will surely be able to achieve your slim waistline goals. Yoga is an exercise that is done to enhance the health and fitness of people. It is an exercise that is done in a meditative style. Although it does not involve intense exercises, it has health benefits like improved cardiac function, weight loss and stress relief. If you are on vacation, practicing yoga can help you to spend your vacation period happy because of the following benefits it offers to people. The 30-60 minute Yoga session can work wonders if they are done right. Many people go to holidays but they cannot put their issues out of their minds, they keep thinking about the unpleasant things in their lives and this can cause them to be depressed. Yoga trains your mind and soul to relax and concentrate on the present. As a result, you will focus only on the happy activities of the vacation and you will enjoy yourself to the maximum. There is a time to think about your problems, but your vacation is not one of them. The holidays are normally characterized by a lot of eating and maximum relaxation. People don’t think too deeply about their diet when they are on vacation. As a result, you could end up gaining unnecessary weight. 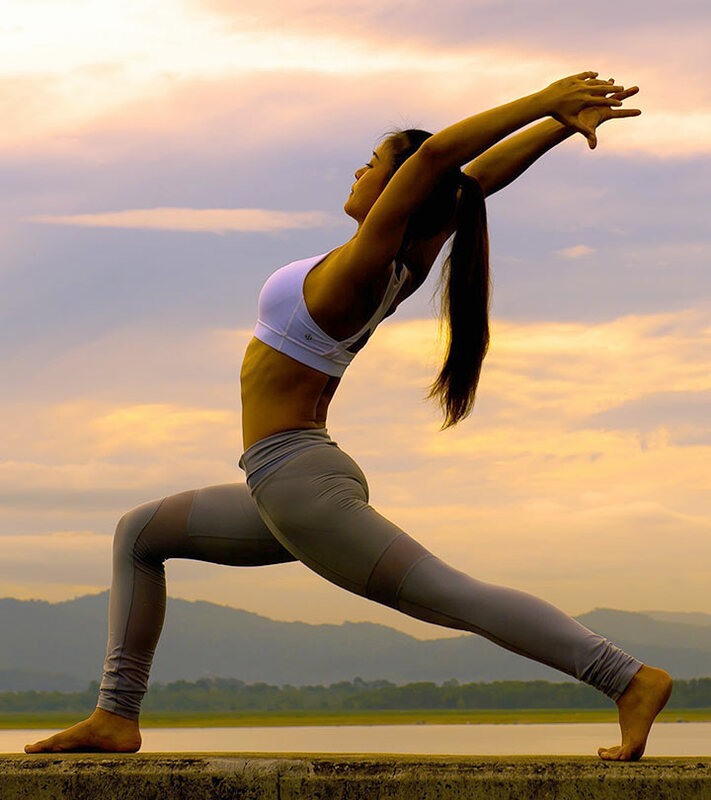 Yoga can help you shave off extra pounds and keep you in good health until you return home. It improves digestion as well thereby preventing you from constipation or diarrhea which happens to be the most common conditions that affect travelers. With Yoga, you will enjoy your holiday vacation from the start to the end without any negative effect on your health. Yoga is known to boost blood production from the body. As a result, immune cells are also produced in high amounts. This protects you from all sorts of food poising, disease acquisition from infected people and other kinds of infections and illnesses. You will therefore be traveling knowing that your immune system is strong enough to overcome all sorts of infections. When you do Yoga every morning, you will strengthen your immunity and also enhance your physical fitness. Yoga gives your body the required energy by enhancing your metabolic processes. When traveling or when on vacation, people tend to get bored, fatigued and tired. To ensure that these things do not happen, you should practice Yoga. The bottom line is that Yoga is good during your holiday vacation because it keeps you active. You will feel better each and every day it does not require too much effort for you to do it. All you need is a mat and nowadays hotels and restaurants have exercise and fitness areas that are equipped with Yoga exercise essentials. If you do one session every morning, you will feel good throughout your vacation and keep yourself happy upon return.